Where Does Anger Fit In? One of the depression warning signs to watch for is the absence of anger or inward directed anger. Anger has energy in it, and one of the signs of depression is lack of energy--and the last thing you want to do is be angry at yourself. 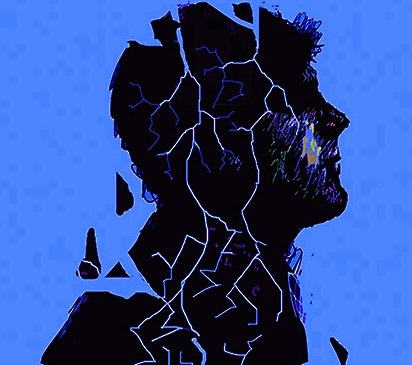 Often, if you're depressed, anger is the last thing on your mind, but the healthy expression of anger can be one of the first steps out of a depressive episode. When anger is healthy, it comes from your truth and your good heart, and it is actually a healing force that lives within you all of the time. Healthy anger says, "I don't like this, and I'm going to do something (constructive) about it." Depression says, "I don't like this, and there's nothing I can do about it." The sooner you see the depression warning signs coming, the sooner you can do something about it. For a look at more advanced symptoms, take a look at this depression test. Now, let's look at the very first signs and indicators that you're becoming depressed. You slack off on exercise, or stop completely. You start opting out of fun activities and social opportunities. 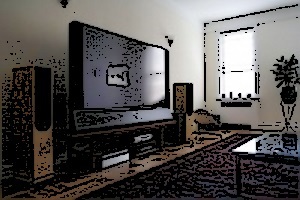 You spend more and more time in front of the television. You give up on some or all of your hopes and dreams. You start looking for escape from your emotions. You don't really care about your health. You don't tell the people you love how you feel. Waking up in the morning and not wanting to get out of bed. Making choices in terms of what you feel you should do instead of what you want to do. Thinking and worrying too much about what others think of you and expect from you. Believing in your heart that you don't have much to offer. Excessive worrying about getting old. Speaking of getting old, it's happening to all of us! It started at birth, and it ends at death, so we need to get good with it.. Learn how to age with elegance and style. One way of understanding depression warning signs is in terms of how anger and depression work together. Most of us never learned to express anger in healthy ways, so we either stuff it or blow up at those we love. Both can easily and often do lead to depression. 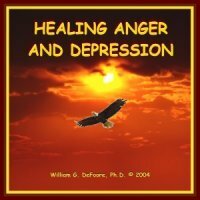 The program entitled Healing Anger And Depression will guide you through an understanding of all emotions, how depression develops, and how it relates to anger. You can preview this program below, buy the CDs, or buy the audio download to listen immediately--with a full, unconditional money-back guarantee!